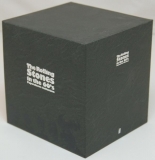 Big Promo Box to house all the Rolling Stones in the 60�s mini lps. Released by Universal after mail-in the coupons attached to the albums plastic bags. The box fits the 22 minis included in this release. 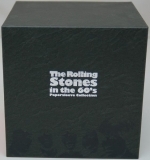 But as I don�t liked to have the 3 compilations (Hot Rocks, More Hot Rocks and Singles), I included the other 8 RS albums released in the 70�s and 80�s. As you can see in the open box pictures they fits perfect. 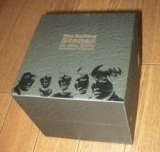 This is a limited edition, out of print, drawer-style promo box. 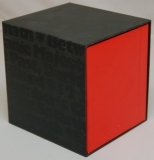 It contains the complete twenty two mini lp cd titles which were released on 2006-03-16. Images of all individual releases can be found on this site from the following links.